This paper was given at the American Historical Association’s annual meeting in New York City on January 5th, 2015. It was part of the Text Analysis, Visualization, and Historical Interpretation panel. My thanks to my co-presenters and especially Micki Kaufman who organized the panel. The text that follows may not be exactly what I said, but is based on my speaking notes with a bit of memory filling in here and there. 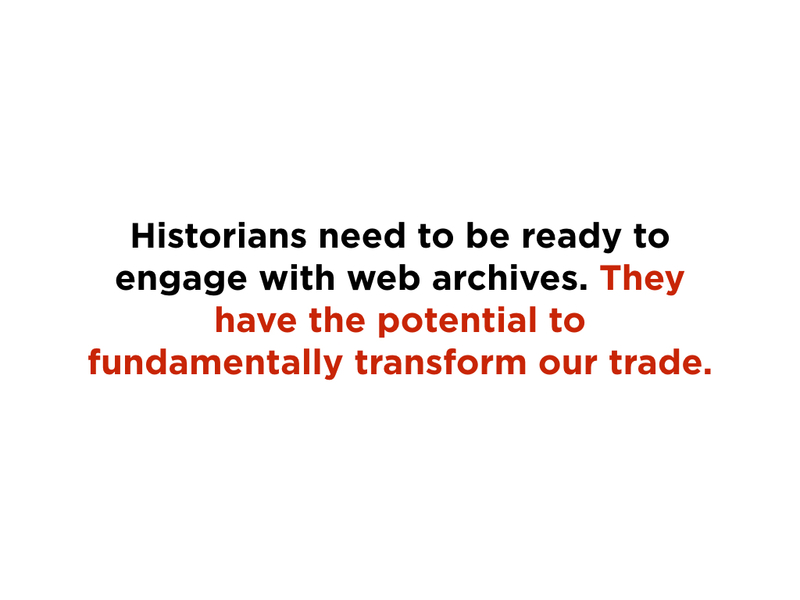 The first stage of our project, Web Archives for Historians, has concluded. 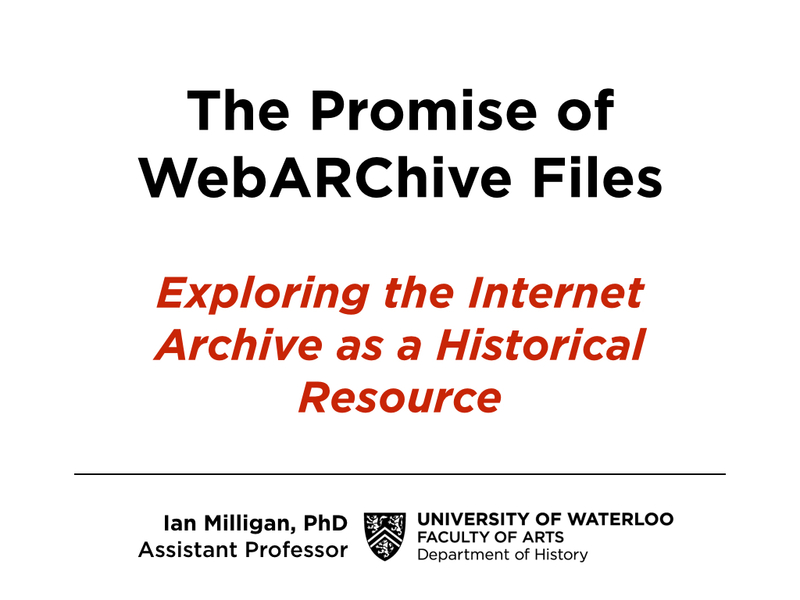 In just under a year, we’ve amassed a healthy bibliography (about twenty works) that fall within the scope of our bibliography – works written by historians covering topics such as: (a) reflections on the need for web preservation, and its current state in different countries and globally as a whole; (b) how historians could, should or should not use web archives; (c) examples of actual uses of web archives as primary sources. contemporary history using the live web (as core source material, rather than just incidentally). We hope that you join us by following along with your RSS feed, on Twitter, or just by popping by now and again.